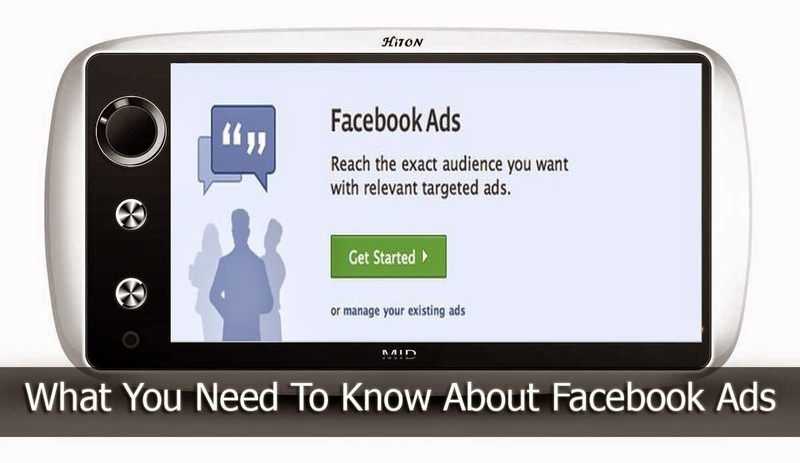 What You Need To Know About Facebook Ads? Facebook has become an integral part of most online business, especially when it comes to marketing a brand to a social audience. It is the largest network on the web, with the widest reach, and is an ideal hub for those looking to exploit a market based entirely off of social interaction, given Facebook's controversial privacy policies. If you're an online business looking to further your campaign with the use of Facebook, then there are some important things you should know about Facebook ads. Facebook is a recommended advertising option (perhaps the only good option) by experts, for those looking to upgrade their marketing campaign. However, there are some pitfalls to the system which we believe will someday seal its doom. It all might seem simple, but the underlying policies and mechanics behind Facebook ads are much more complex and, date I say, sinister. Simple as that. It's a hard truth to swallow, but if you're a brand on Facebook and don't pay for advertisements, you're as good as invisible to customers. We recently talked about why Facebook Pages are losing their reach, and this is one of the reasons. If you're not paying, your posts aren't given priority. It's Facebook's way of silencing your brand. Just as Google has reworked its search algorithm over the years to the chagrin of SEO marketers, Facebook’s maneuvers are now making publishers rethink their Newsfeed strategies What many business owners report now is that without using “Promoted stories”, Facebook brand pages enjoy 0 visibility in Facebook users’ newsfeeds. Paying for ads, however, doesn't still guarantee success. What makes ads and new user acquisition efficient is your page interactions with new users. Commit to liking and replying to your user comments any time you do a promoted story, for example. This way you increase your chances for higher organic visibility in these users’ Newsfeeds. It's a trap you cannot escape! Now, Facebook will tell you that likes do not matter, reach does. With the revised EdgeRank algorithm and the new updated newsfeed, Facebook wants you to keep paying for reach. Who knows what's next? Once you start this journey, you either quit (like the food app Eat24), or Facebook keeps sucking your money. Know when it's worth your while to actually start a full-on Facebook marketing campaign. Each user makes Facebook money simply by his existence. Facebook perfectly defines the adage that 'if something is free, you are probably the one being sold'. Facebook users probably never read the terms and conditions of using Facebook. But you are a business, and are not being 'sold'. Although Facebook isn't a business platform yet, it isn't that friendly towards the little guys either, whatever they claim to the contrary. Yes, the benefits of using it to reach an audience counters that fact very well. But it doesn’t change the ten million and one rules you will have to follow to keep your page up. Make sure you read the terms and services very well.